A total of 1,11,569 children went missing as of 2016, according to National Crime Record Bureau. I learnt more about the issue when I met with the secretary of SATHI. A NGO that works to rescue and rehabilitate missing children found on railway platforms all over India. Being working in this field for the past 25 years, their opinion matters. With the headlines of some of the major media houses claiming that” one child goes missing every 10 minutes”. In reality, this number is high. Very high, with only 30% of missing complaints registered. The statistics fail to count the 70% whose complaints are never registered. So, where we have a figure of 1 lakh, the actual figure can be surpassing 2-3 lakhs also. Most of the runaways come from Uttar Pradesh and Bihar. The reasons can be anything. From getting scolded to not willing to go school. These are minor boys and girls who take that decision in a fit of anger and then regret it soon. 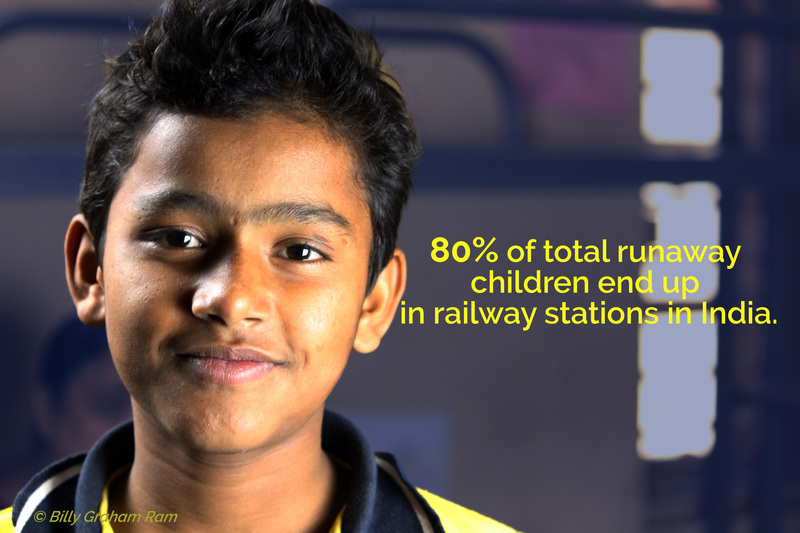 80% of the total missing children end up on railway stations where volunteers of such NGO rescue them and rehabilitate them with the help of Ministry of women and child development. ” It’s easy to rehabilitate a child if he is rescued early on, otherwise if he spends a considerable about on station, it gets really hard to gain their trust and help them”, says the project head working with SATHI. He continued saying, “the general thinking of the public is that most of the runaways are poverty ridden and run in hope of getting away from their present life of poverty”. That is as far from the truth as it can be, “with 95% of runaways coming from families that can easily provide for and are established in one way or other”. Asking their secretory of what can be a possible solution to this, his reply was simple and basic. “Try to spend time with your children and talk to them more often”. I met some of these children’s in their shelter home. They all were school going boys who ended up in railway station not knowing what to do and were rescued by the workers of SATHI. Their stories were innocent had it not being SATHI. They could have ended up in worst conditions. Why is the Economic survey book, Pink in color? Its a girl! Commend your effort in gathering and presenting this information on your forum. We indeed need to take a hard look at these statistics and the possible fate those still missing.